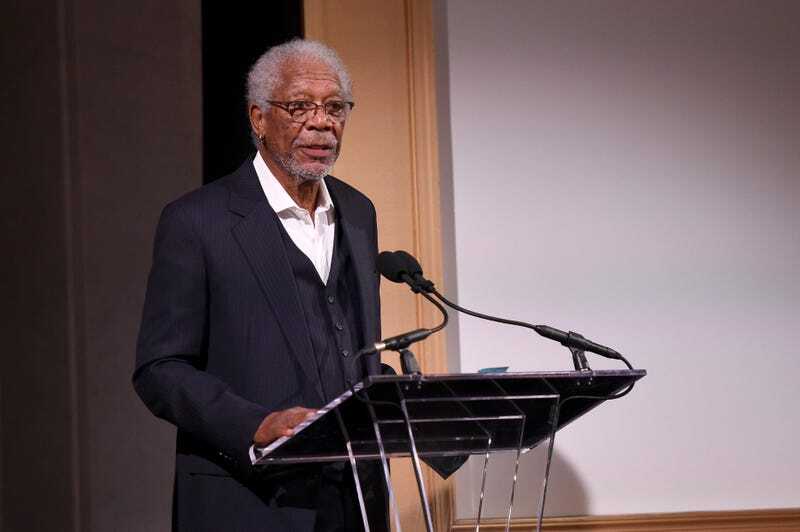 Morgan Freeman speaks onstage during the AFI 50th Anniversary Gala at the Library of Congress on Nov. 1, 2017, in Washington, D.C. Updated: Thursday, May 24, 2018, 1:24 p.m EDT: Morgan Freeman has spoken up about the multiple accusations of inappropriate behavior, issuing a brief apology Thursday morning shortly after CNN broke the story. “Anyone who knows me or has worked with me knows I am not someone who would intentionally offend or knowingly make anyone feel uneasy. I apologize to anyone who felt uncomfortable or disrespected—that was never my intent,” the statement read, according to Deadline. Earlier Thursday morning, CNN noted that at least eight women have accused the iconic actor, who received the Screen Actors Guild Lifetime Achievement Award in January, of inappropriate behavior and harassment. Morgan Freeman, known for his iconic voice and storied career, is the latest Hollywood star to be accused of inappropriate behavior and harassment on the heels of the #MeToo movement. In a detailed investigative report, CNN interviewed 16 people, eight of whom accused the 80-year-old actor of what some called harassment and what others called inappropriate behavior. Another eight say they witnessed Freeman’s misconduct. In the case of the Going in Style production assistant, the young woman alleged that Freeman subjected her to unwanted touching as well as comments about her body and clothes on an almost daily basis. Freeman, she said, would touch and/or rub her lower back. During one incident, Freeman “kept trying to lift up my skirt and asking if I was wearing underwear.” He never actually succeeded in lifting her skirt, but he would touch it and try to lift it, she would move away and then he’d try again. “Alan [Arkin] made a comment telling him to stop. Morgan got freaked out and didn’t know what to say,” she noted. There was also another case in which he allegedly sexually harassed a senior member of the production staff, as well as her female assistant, on the set of the movie Now You See Me. “He did comment on our bodies. ... We knew that if he was coming by ... not to wear any top that would show our breasts, not to wear anything that would show our bottoms, meaning not wearing clothes that [were] fitted,” she said. CNN also reached out to several people who worked for or with Freeman. Some, naturally, praised the renowned actor, saying that they never saw anything untoward. Others, however, knew exactly what the network was talking about. CNN emailed Freeman’s spokesperson for comment on the allegations, following up with an email detailing the list of accusations against the actor, but the spokesperson never responded. CNN also reached out to a spokesperson for Lori McCreary, the co-founder of his production company Revelations Entertainment, but got the same silence. The network also noted that allegations against Freeman did not just spring from his company or on movie sets. Three entertainment reporters also accused Freeman of making inappropriate comments during publicity events for films. One of those reporters was CNN reporter Chloe Melas, who is the co-author of the article exposing the allegations against Freeman. Melas reported the interaction to her supervisor.